Fire Trucks in Action 2019 features heart-stopping, on-scene photography of fire trucks in the heat of action by noted fire truck photographer and expert Larry Shapiro. Fire Trucks in Action 2019 features on-scene photography of fire trucks in the heat of action. 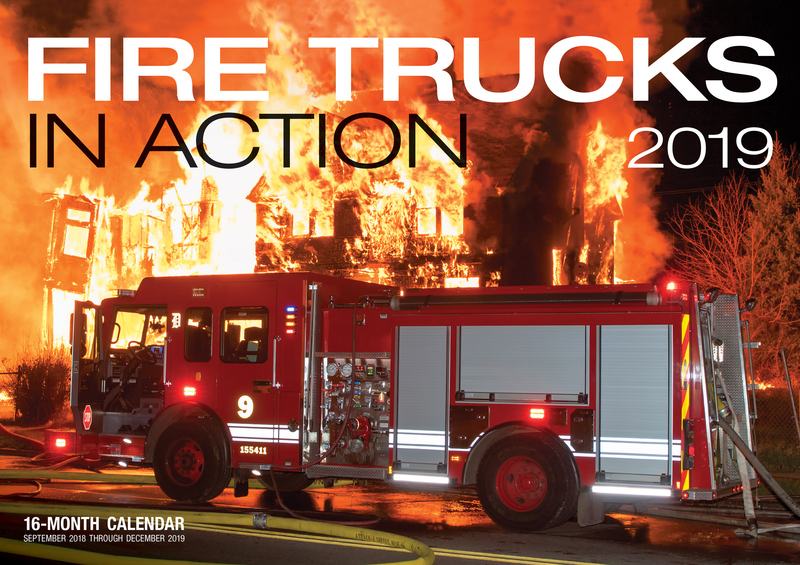 This 16-month calendar includes an informative caption for every heart-racing image, detailing the vehicles pictured and firefighters emergency response. Long-time fire buff and expert photographer Larry Shapiro is your guide to the hero-making world of fire fighting. Larry Shapiros experience as a writer/photographer spans more than 26 years. His portfolio includes commercial photography for multiple fire- and heavy-truck manufacturers, as well as several books including Aerial Fire Trucks, Hook & Ladders, and more. He lives with his wife and three sons near Chicago, Illinois.